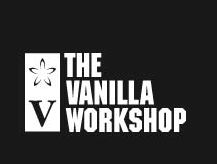 The Vanilla Workshop is a community. A collaboration between master fabricators, expert bicycle painters, wood, leather, fabric and metal workers – all working to build the best bicycle you will ever own. 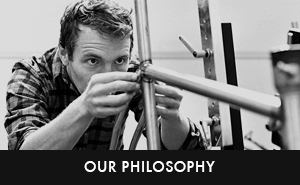 is owner, designer and bicycle frame builder Sacha White. Sacha started building bicycles in the winter of 1999 and is now a pioneering member of the new generation of frame builders. He brings his own experiences as a cyclist and craftsman into the mix to create a company whose products reflect the values of hard work, style, and uncompromised vision. As the workshop has grown, a dedicated team of hard-working and fun-loving craftspeople has formed to make the best work of their careers. Vanilla bicycles are pure, classic and focused on the pursuit of craft. Speedvagen are modern, rebellious and built to be ridden. Hard. These might seem like wildly different brands, but they were born from the same philosophy of bike building. And each bike that rolls out of the workshop is a balanced machine. From fit to frame design to fabrication to component selection to paint design to the way we combine our colors – each stage of the process is carefully considered so that no individual detail outweighs the others. The result is a bike that looks and rides the way it was meant to. It's important to us that what we do looks good. Better than good, actually. If the function of any one detail doesn't exceed the beauty though, it doesn't make it onto the bike. Style is part of what we bring. It's just the easiest thing to recognize and talk about. We're proud of how dialed a finished Vanilla or Speedvagen looks when it rolls out of the workshop. But, there is much deeper value to a custom bike than what is seen on the surface. The more difficult conversation is about the ride and the fit and the design of the bike. How small choices make for a great bicycle, far more than style ever could. Our entire process, from Sacha's unique fit program to the final finishing touches of your build, happens here in the workshop. And that means that when we make a decision in one step, we know exactly how it will affect the whole machine. With each stage of the custom process happening under one roof, we can get pretty damn close to perfection. Sacha's approach to fit and balance is organic and unique. How our design approach creates a bike that both looks and rides like it should. We're known for our paint and colors, here's why. A semi-regular journal from The Vanilla Workshop.